Few days ago, We had discussed that how can we add next and previous pagination buttons in blogger that actually helps to improve the user interface and user navigation of blog and today again we're going to share a widget that will also improve the navigation a bit more. Today, we're going to show you that how can we add Google custom search engine in Blogger blog. Most of the blogger templates these days comes with built-in default blogger search boxes that are not much powerful to give exact result because their factor of finding the result is not good as it should be but adding Google custom search engine will be better because it gives accurate result and also has some more useful functions. Google Custom Search Engine? Tell me a bit more. Just like YouTube, Blogger and Gmail Google products, custom search engine is also a product developed by Google to let sites display the search box for inner site search only. If you run a website that has tons of pages with huge data and its really difficult to set the perfect navigation than you could use search engine that will help your visitors to navigate easily just by searching the thing that they in search box and search box will automatically give them the path of the content that they want. It's totally easy. 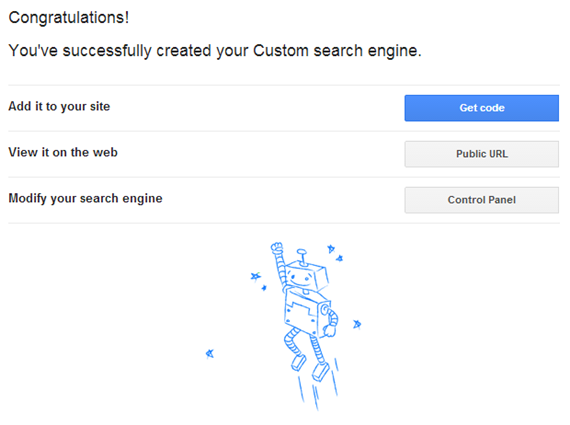 Do you know how Google custom search engine works? You'll be amazed by knowing it. You know how much powerful Google is and it's whole search engine. Google uses various natural factors to bring up the exact and correct search results and in custom search engine, Google uses same formula. That's why we're recommending to implement this in your blog and enjoy its facilities. Google custom search engine also allows you to monetize the search result pages but for that you'll need to have normally approved Google AdSense account. You can easily sign in to custom search engine with your AdSense account and enable monetization in monetize page. It might take time to activate but later it will start working. Google displays ads in the search result pages and ads are also relevant to the every keyword that user may search and you're easily paid for clicks on ads and also impressions. 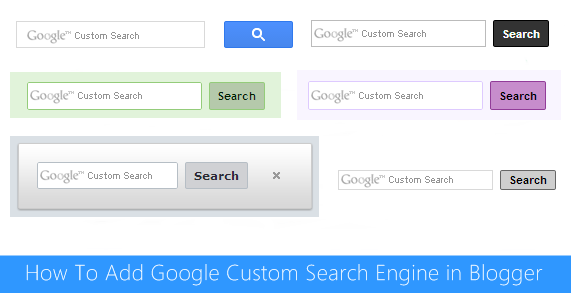 Other than this, Google custom search engine has functions to customize the theme of search box, enable voice search, image search and many more options. Even you can change the layout style of search box and search results or use your own search box and display custom search engine's result somewhere else. There is a lot you can do with this. It's simply amazing. How To Add Google Custom Search Engine in Blogger? Click on "Create a search engine"
Insert your blog URL in "Sites to search"
Choose Language, Pick up engine name and click "Create"
You'll see the message like above which means you've successfully created custom search engine. Now click on "Get code"
Paste the copied code in "Content Box"
Congratulations! You've successfully added custom search engine in your blog. There is a lot you can do now with your custom search engine like customizing the theme that may suite with your blog design, enabling monetization, disable or enable voice search and image search, changing layout and much more. Just navigation through left vertical menu bar and you can easily do all from there.